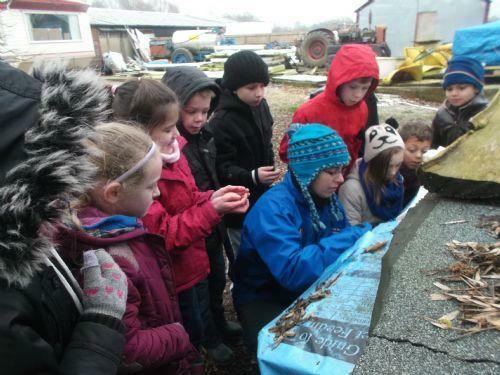 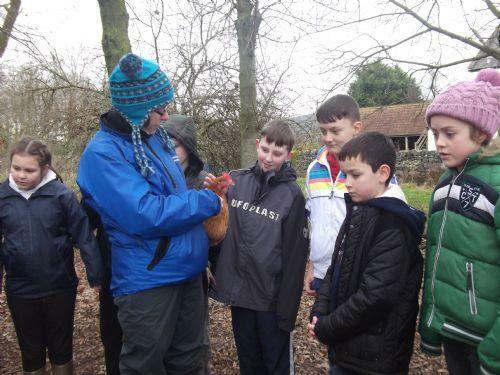 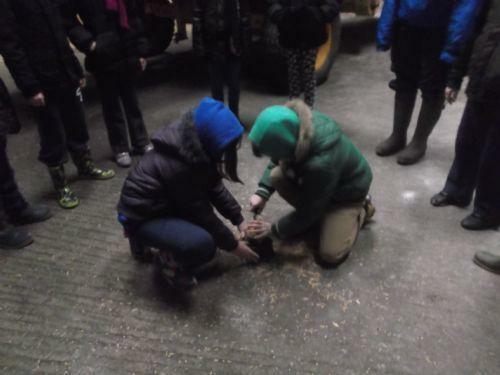 Over the last week children from year 3 to 6 have had a fantastic experience on the farm. 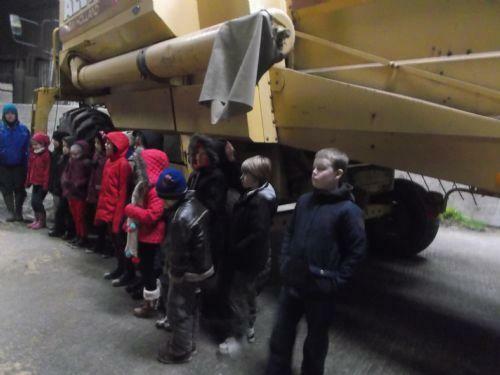 The children had a tour of the farm with farmer Nick, visiting the cows, hens and wheat barn. 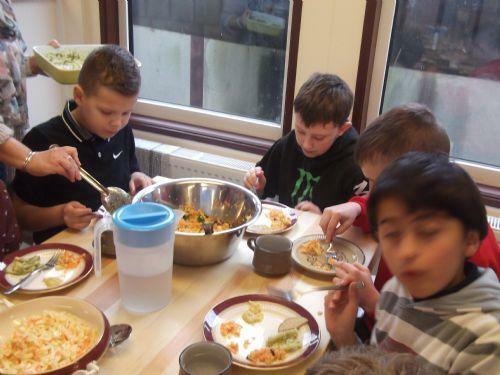 They then visited the kitchen where the children worked in small groups to make a variety of dishes. 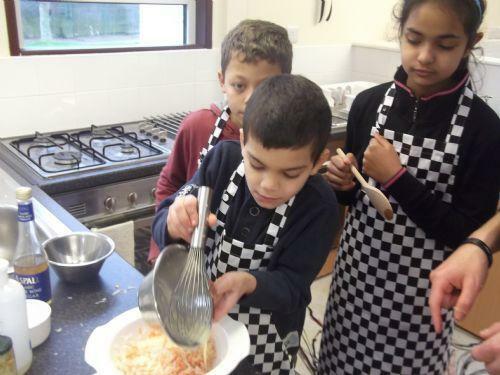 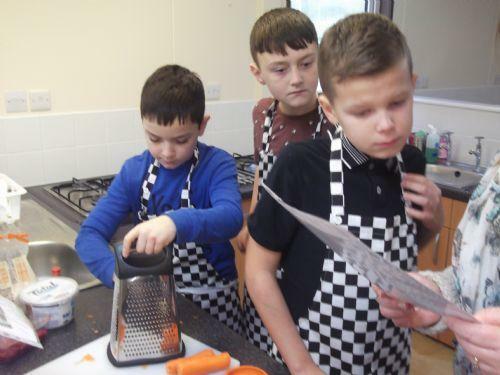 The children learnt to chop, grate, mix, fold and measure ingredients while following a recipe. 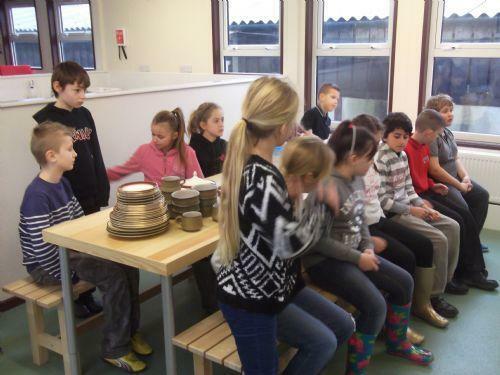 The children then sat together so taste eachothers dishes.